Please email Traci directly if you would like to schedule private lessons. 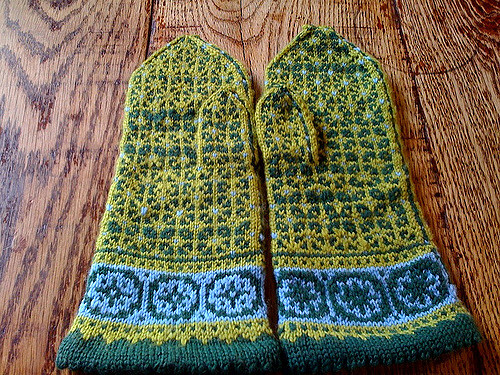 All swatches will be knit in the same weight yarn and joined together at the end of the 12 monthsto create a beautiful blanket. * May occasionally be a different Thursday. 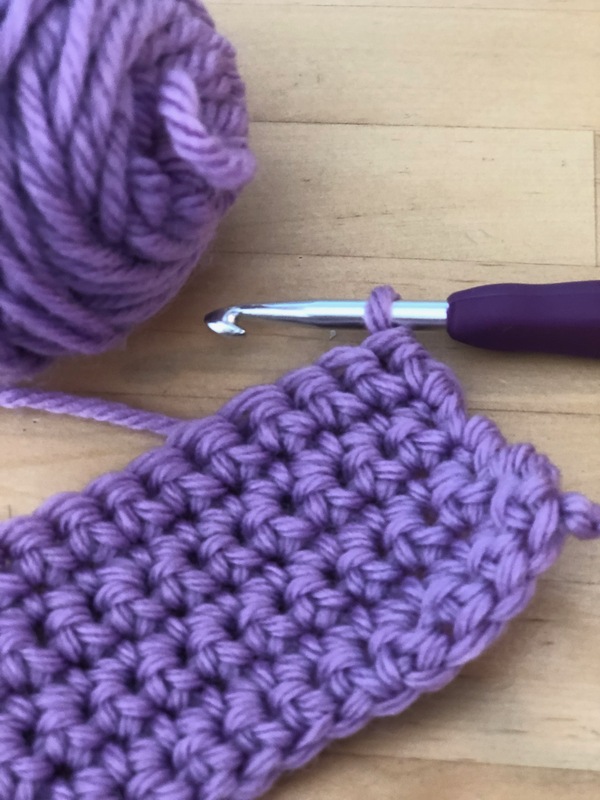 Learn the basics of crochet and get started on your first granny square! Please bring a 5mm crochet hook and worsted weight wool yarn. LIMITED SPACE, SIGN UP ONLINE! Register online or email Traci to let her know you are coming. 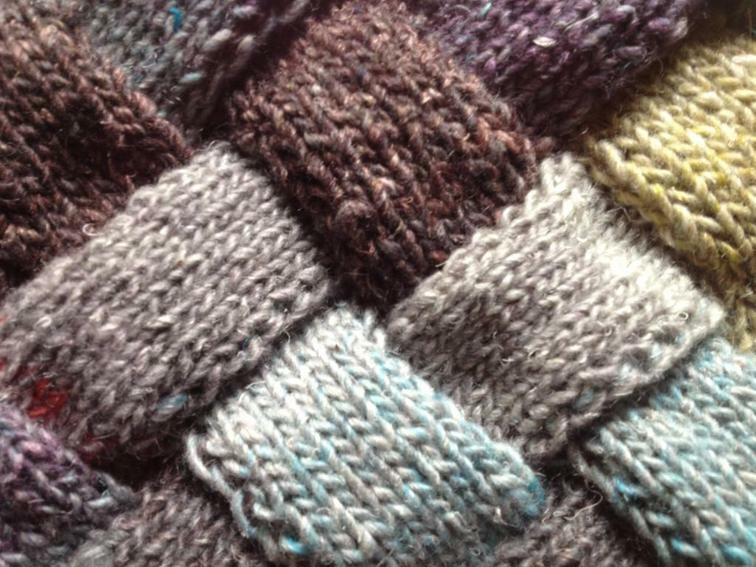 Entrelac is a technique used to create a textured diamond pattern. While the result resembles basket-woven strips of knitted fabric, the actual material comprises interconnected squares on two different orientations. 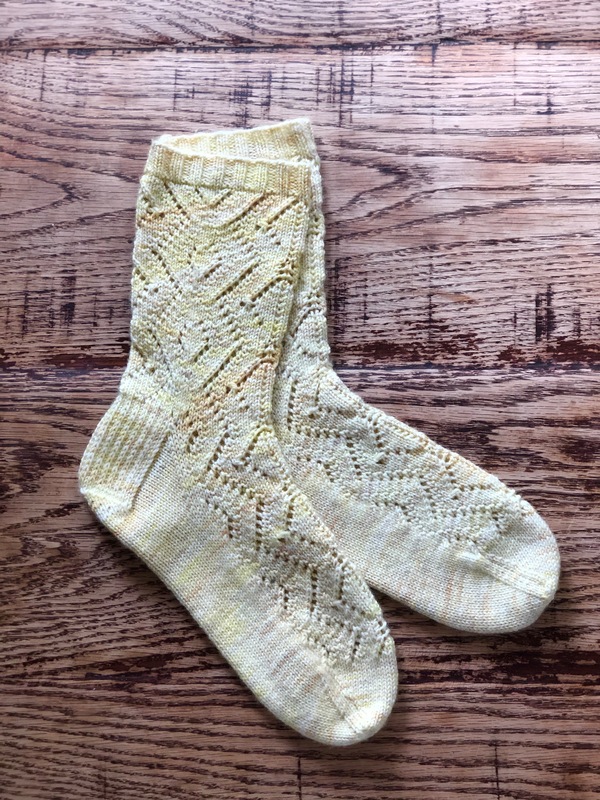 Using yarns like Noro or Chroma self-striping yarns you get a organic color change that looks amazing. Start a lovely cowl that will take no time at all to finish. 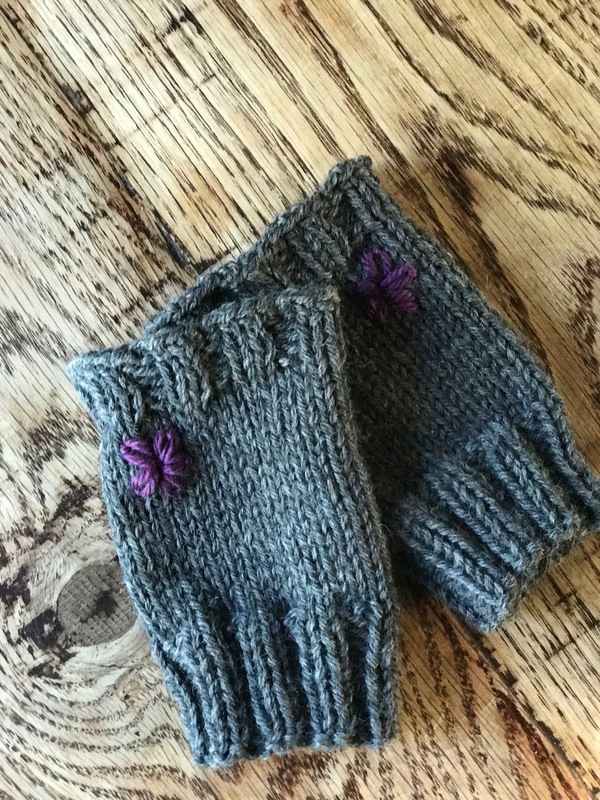 Skills required: knit and purl stitches, k2tog & p2tog and pick up stitches . 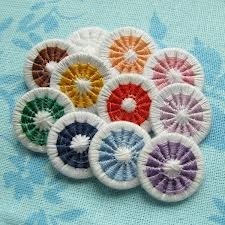 Ever heard of Dorset Buttons? Lovely hand woven buttons originating in the 18th century in Dorset, England. 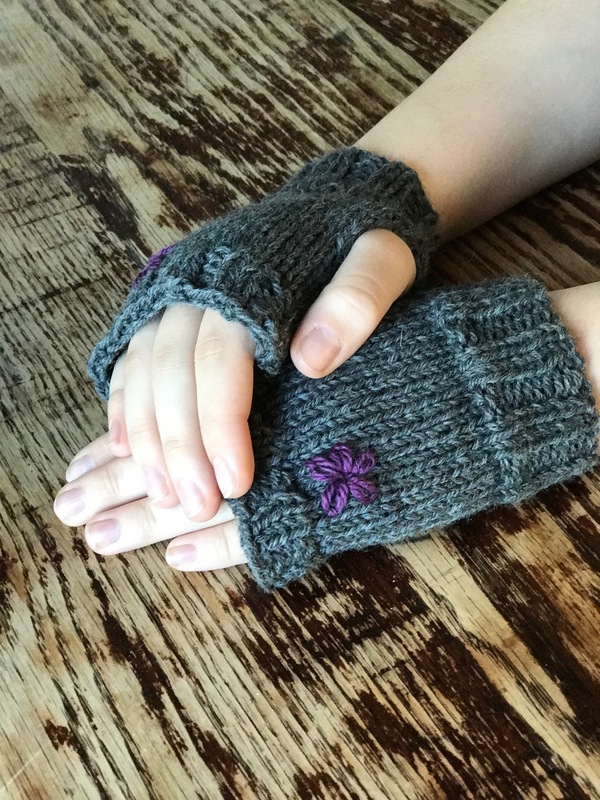 As well as making gorgeous additions to your hand knits they can be used in many other ways. In this class we will finish up turning our Buttons into lovey magnets. Supplies included. Learn to cable without ever worrying about loosing your cable needle. Viking knit is actually the oldest form of jewelry making known to date. Examples have been found at archaeological sites across the globe, but pieces found at a site in Scandinavia are responsible for this technique's namesake. 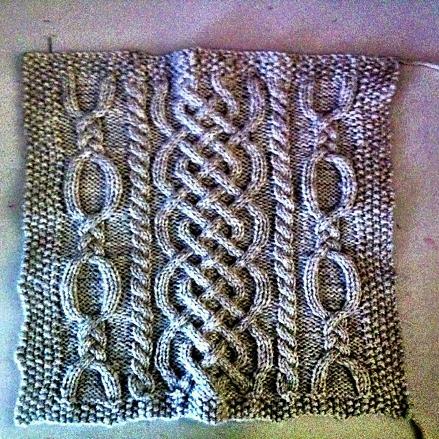 Viking knit is not actually a form of knitting at all, and the process is much closer to naelbinding or French knit. Individual or group classes can be scheduled to accommodate you.